While preparing for GATE, you need to be excellent at your theory concepts in order to solve tricky questions in a timely manner. 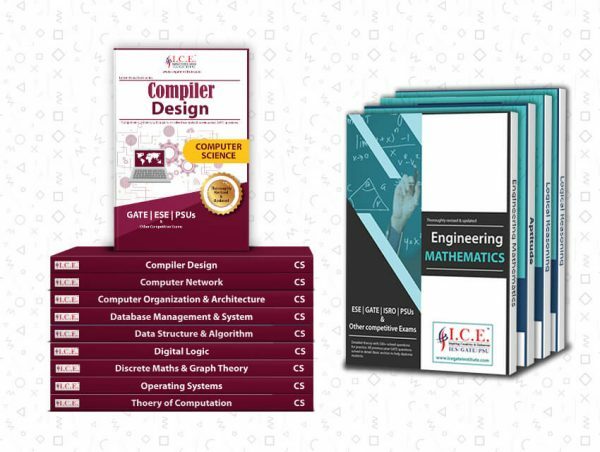 Our books are compiled by our top GATE faculties who have years of experience and are subject experts in their own fields. These books are designed in such a way that it serves as a one-stop solution for a GATE student. The contents in the book consist of concept based theories, examples supplemented by self-explanatory illustrations, exercises supplemented by hints, key points to remember, multiple choice questions, special problems so that a student can learn a basic subject in the shortest time possible. The Chemical GATE Book Set covers all the syllabus of all the universities, IITs, and NITs. Students appearing for competitive exams like GATE, PSUs can find the book as an asset to them. The book will greatly help the students who could not grasp the subject in the classroom. Any suggestion for the improvement in the text of the book will be thankfully acknowledged. Students who want to make their carrier in the field of chemical engineering, we are offering you some of the best books you should use for your preparations. Many of our experts of GATE has verified these as per the GATE syllabus of 2019 and also many candidates have tested these books for their exams. Our GATE chemical engineering study material will help you crack exam of GATE 2019 CH with confidence. The above books consist of the current GATE syllabus for CH books. These GATE 2019 chemical engineering books are updated and also give quick tricks to solve sample papers providing you exact knowledge level for GATE 2019.